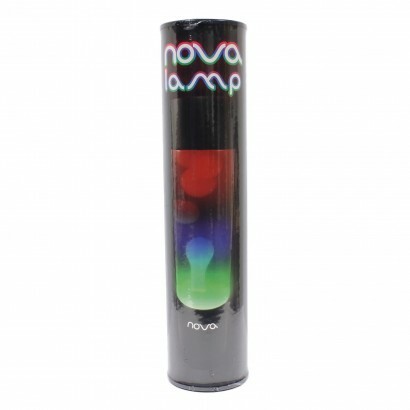 A mesmerising lava lamp with a unique multi coloured effect, the Nova rainbow lava lamp takes grooviness to the next level! 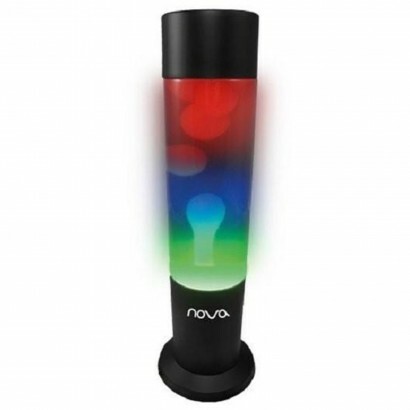 A unique colour change effect is achieved with a multi coloured glass bottle that contains white wax in clear fluid; as the wax rises and falls through the colours it appears to colour change! 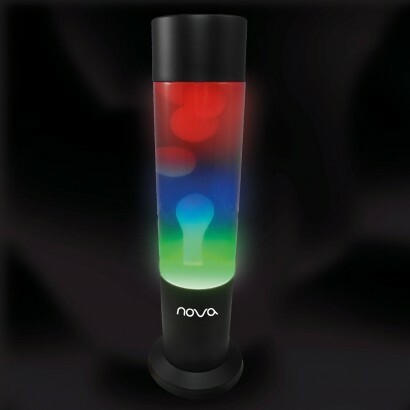 Finished with a black end cap and base, this retro lamp puts the "oo" in groovy with it's hypnotic rainbow effects!